"A space limited by our imagination"
LARC are committed to public participation in decision making about the future of the Loughrea Town Hall and Cinema building. We are currently engaging community groups in a survey to prepare a feasibility report for the hall. We also organised a public meeting in April to consult with the people of Loughrea the future they see for the Town Hall building - info below. 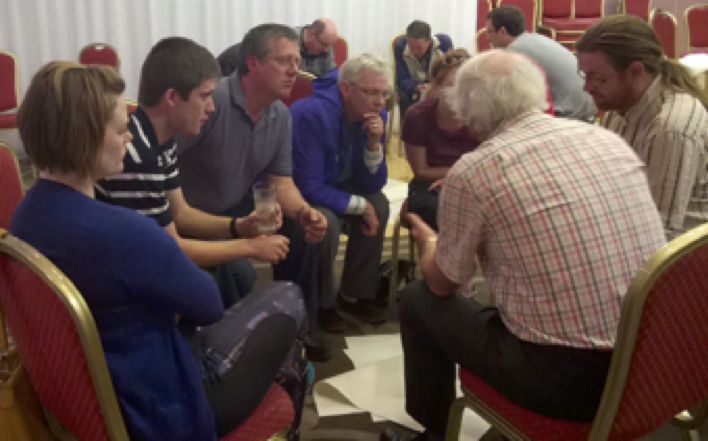 "Local citizens were pleasantly surprised when they entered the function room of Loughrea Hotel and Spa on Thursday last. Instead of the normal rows of seats in front of a top table, seats were organised in small groups and there was no “top table”. Participants at the well managed meeting were asked to discuss why they had come, and the future they saw for the Town Hall and Cinema. The format meant that local councillors and citizens were in small groups, face to face, and everyone had a chance to air their views. It quickly became clear that the people of Loughrea have a strong emotional link to the old building, and that there is a real desire for it to be managed “by the community, for the community” as one attendee put it. All attendees agreed that the town needed a “multi-functional community and arts space” which could incorporate film, dance, music, lectures, heritage and other events, and there were serious concerns about the County Council's plans to convert the upstairs to office spaces. Many of the active community groups in Loughrea, from the Seamus O'Kelly players to the Loughrea Pipe Band indicated their desire to use the space, and there were suggestions of the potential to use the building as a meeting space, indoor market and alcohol-free venue as well as for open mic, poetry readings, bridge clubs, classes, as well as for exhibitions and other events. The ideas flowed as the community finally got a chance to air its views. Older members of the community expressed a desire to see younger people have a space like they used to. Younger attendees were also full of energy and enthusiasm. 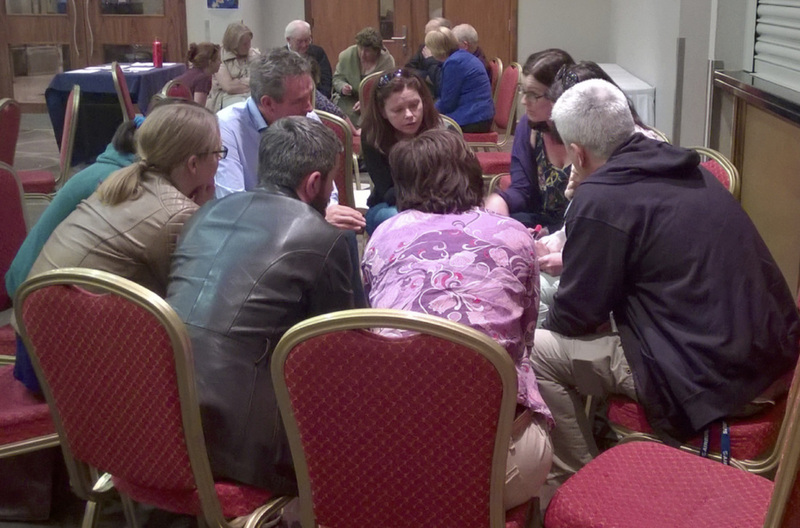 Loughrea's citizens want somewhere they can use to bring life back into the town and that the community can manage and use – “a space limited only by our imaginations” as one group said.